Martin Luther King, Jr. Day: What's it All About? 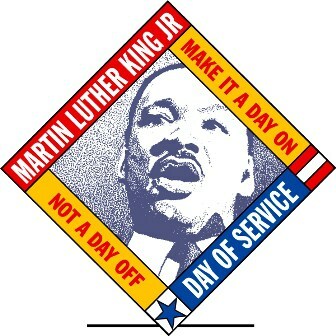 Today is Martin Luther King, Jr. Day (MLK Day), a time to commemorate Dr. King's vital role in the Civil Rights Movement. On MLK Day, Americans of every age and background will unite in a day of service as a way to transform Dr. King's life and teachings into community action that helps resolve social problems. "The MLK Day of Service empowers individuals, strengthens communities, bridges barriers, creates solutions to social problems, and moves us closer to Dr. King's vision of a 'Beloved Community." As Dr. King famously and selflessly stated, "Life's most persistent and urgent question is: What are you doing for others?" Take time today and throughout the year to serve others. It will make all the difference. Comments on "Martin Luther King, Jr. Day: What's it All About?"